It’s said that life begins at 40. Yet, thanks to God’s faithfulness, PF has already achieved so much in the transformation of prisoners’ lives since we were founded by Sylvia Mary Alison in 1979. 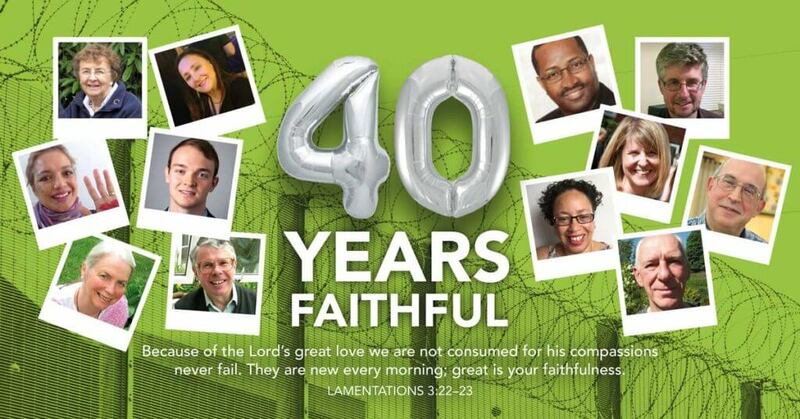 Join us and our special guests on the afternoon of Saturday 30th March at Westminster Chapel, London to celebrate the past 40 years, and look forward with anticipation to the future of our ministry to prisoners in England and Wales. Register your attendance through our Eventbrite page. This is a free un-ticketed event, but registering will help us plan how much cake to buy!